Ambassador Luis Guinot, Jr. is a partner in the business department and head of the Firm's International Trade and Commerce practice. A former U.S. Ambassador to the Republic of Costa Rica (1990-1993), he is resident in the Washington, D.C., office. Before entering the practice of law, he served as Assistant General Counsel of the U.S. Department of Agriculture, and as Administrator of the Office of the Commonwealth of Puerto Rico in Washington, D.C. In private practice he has represented the Commonwealth of Puerto Rico, as well as private Puerto Rican clients and political organizations. Ambassador Guinot has authored numerous articles and appeared as a speaker on U.S. Latin American relations and international free trade agreements. He has also appeared at symposia and on numerous panels focused on Puerto Rico’s commonwealth relationship with the United States. Ambassador Guinot recently introduced eight distinguished experts on Latin American trade to business leaders in Baltimore at a one day seminar, "Doing Business in Latin America and the Caribbean." The event assembled a group of diplomats, Latin American government officials, and CEOs of major energy and agri business corporations, to present insights and information to local and regional investors and executives. 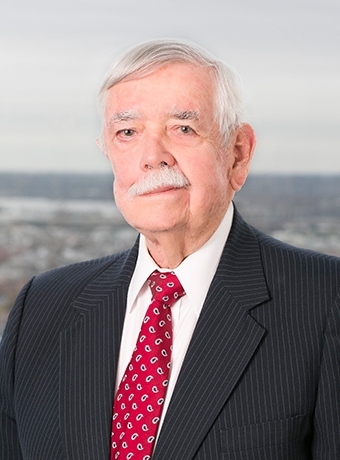 In 2003, he was selected by the Hispanic Association on Corporate Responsibility as one of eight Fortune Board Honorees, a distinction granted to outstanding Hispanic leaders serving on the boards of large corporations. Ambassador Guinot is a member of the board of directors of Tampa Electric Co. and its parent, TECO Energy.